Circleville bed and breakfast travel guide for romantic, historic and adventure b&b's. 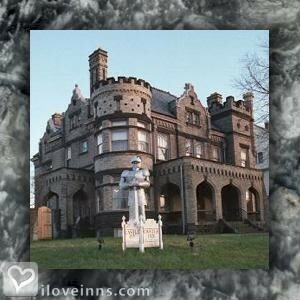 Browse through the iLoveInns.com database of Circleville, Ohio bed and breakfasts and country inns to find detailed listings that include room rates, special deals and area activities. You can click on the 'check rates and availability' button to contact the innkeeper. Circleville, Ohio has attractions such as the Ted Lewis Museum and Pickaway County Historical Society. The city has quite a number of historical landmarks, which include Zieger House, Memorial Hall, Pickaway County Civil War Memorial, Napoleon 12-pounder, Prehistoric Circular Earthworks or The Squaring of Circleville. Golf enthusiasts frequent Pickaway Country Club and Mark's Par 3 Golf Course. Other important landmarks in Circleville are Capt. Michael Cresap in Memoriam, Caleb Atwater, Camp Charlotte, and War Savings Quota. Circleville bed and breakfast inns sometimes recommend restaurants such as The Tuscan Table, El Palomar, and Goodwin's. By Castle Inn Romantic Retreat B&B.